Black leather modular seating with cross stitching detail and a stylish chrome frame. Combine these chairs to produce a number of tailored seating solutions. Available from stock for a quick delivery. 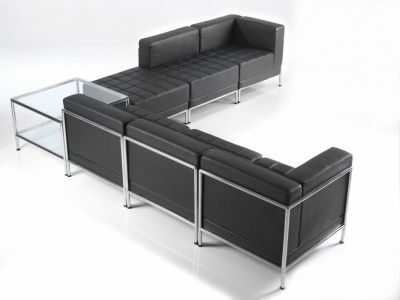 Cubic style modular seating upholstered in easy to maintain blacl leather. 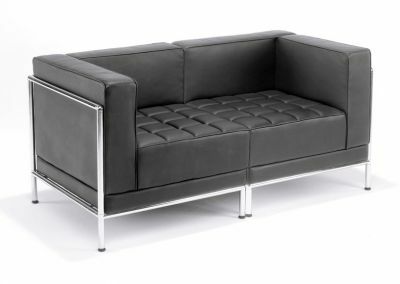 Cubic like seating held on a strong metallic frame. 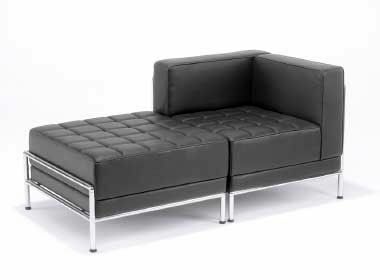 Very popular in a range of commercial properties.